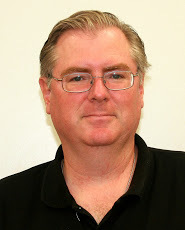 IrishAmericanJournal.com is an online journal covering the history and culture of the Irish people who became Americans. 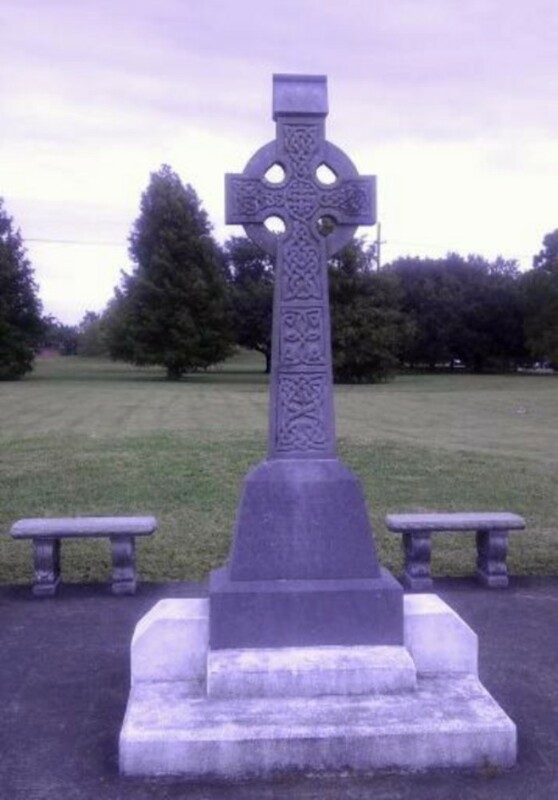 The Celtic Cross Memorial in New Orleans, Louisiana. Photo by Adrian McGrath. Click the image for the story about the cross. The Irish have a way with words. They have always had a way with words. Some of the most famous and applauded authors in the world have been, and still are, Irish or of Irish descent. And the most famous Irish writers wrote in a language which was historically foreign to Ireland -- English. The older Irish wrote in the Irish Gaelic language, but over time the newer ones wrote in English. For about 1,500 years until the 19th century, the Irish language was the main language of the people. Over time, however, English became the dominant language. Centuries of oppression by British occupation and even British laws which suppressed the Irish language and culture made the Irish speak and write in English. Eventually, some of the Irish would become the masters of the English language. From ancient times the Irish loved a good story. They held the bard, or the story teller, called a shanachie or seanchai, in the highest esteem. He was usually second only to the ancient Irish king in importance. Not only did he tell stories, which the Irish loved, but he recorded the history of the Irish people in verse and legend. One of the first old Gaelic bards was a man named Amergin. He was a poet and historian for the Milesians, some of the early inhabitants of Ireland who migrated from the East. of seven battles; I am the eagle on the rock; I am a flash from the sun ... I am the head of the spear in battle; I am the god that puts fire in the head ... Who can tell the ages of the Moon? Who can tell the place where the sun sets?" The Milesians are said to be the first Gaelic people to arrive in ancient Ireland, going there possibly from Eastern Europe or Spain. They were Celtic or Gaelic people. 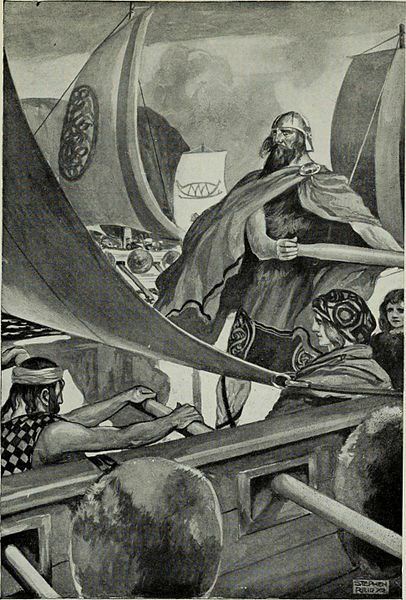 No one knows for sure, but the Celts probably first came to Ireland during the Iron Age which started around 500 BC. In ancient times the Irish did not have a true alphabet (before the Romanized alphabet was used). The Old Irish language used the Latin language alphabet starting in the 8th century AD. 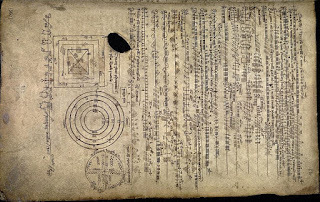 Catholic monks and scholars -- who were usually literate in Latin and Greek -- took ancient Irish words and applied the scholarly Latin alphabet to them. 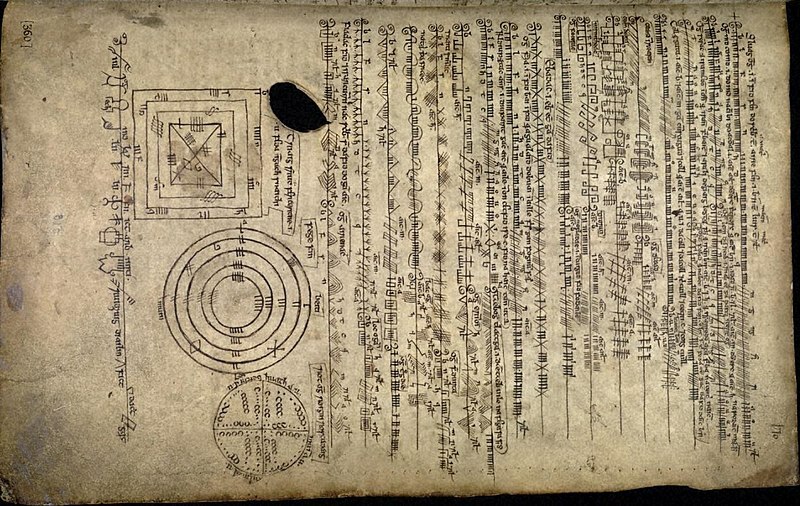 Before the 8th century, however, a very basic non-phonetic alphabet was used. The pagan Irish priestly class, called Druids, had a very primitive "alphabet" consisting of marks, dashes, and lines called Ogham. The Ogham alphabet was first seen in the 4th century AD, although some scholars believe it may have appeared some centuries earlier. These marks were often made on the sides of ancient stone obelisks for religious messages. The Irish language (called Gaeilge) was the common language in Ireland then. Today the Irish language is still used and studied in Ireland, along with English, and is often heard on the west coast region called the Gaeltacht. the history, religion, and culture of old Ireland. From these ancient times, more modern Irish writers emerged. An entire body of literature was in the Irish Gaelic language, eventually giving way to English. But the manner and the message remained always Irish. From this ancient history, with a culture and a language evolving, great Irish writers emerged. Here is a brief look at just a few of the most renowned Irish writers. There are many more. 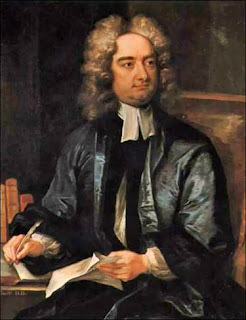 Jonathan Swift was born in Dublin and was Anglo-Irish. He is most remembered for his essays and satires. He was greatly concerned about Irish politics, and he often made his points in clever ways by using symbolism and satirical devices. He wrote Gulliver's Travels and perhaps the greatest satire ever written in the English language called A Modest Proposal. Its full title is actually: "A modest proposal for preventing the children of poor people from being a Burthen [sic] to their parents or country, and for making them beneficial to the Publick [sic]." 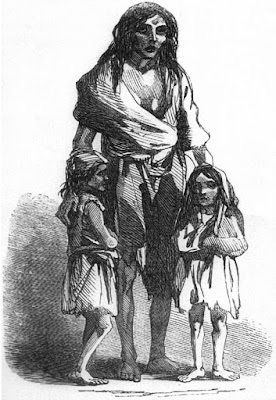 What Swift proposed, modestly, was that Irish children of poor Irish parents could be cooked, sold, and served as meals for wealthy ladies and gentlemen to eat. This would reduce the burden of taking care of poor Irish children, give some revenue to the poor Irish parents, and make a nice and tasty meal for rich people, typically from the Ascendant Protestant class or the English. Of course, this satire was extreme and devastating, to say the least. Swift used such devices to ridicule and condemn the ruling class. Jonathan Swift was a champion of social justice, and he used his intellect and writing skills to indict the British government for its often unjust policies. William Butler Yeats lived from 1865 to 1939. Born in Dublin, he became an acclaimed poet and playwright; he was one of the creators of the Abbey Theater, which is the National Theater of Ireland. Famous plays over the years have been performed at The Abbey. 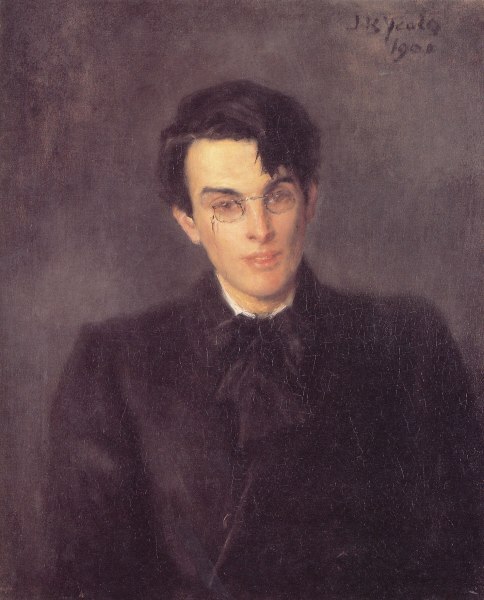 Yeats received the Nobel Prize in Literature in 1923. Some of his greatest works include a powerful and moving poem about the Irish Rebellion of 1916 (The Easter Rising). The poem is called "Easter, 1916." In this poem Yeats uses a phrase which has become famous as it represents both the positive and negative aspects of the cause for Irish independence from Britain -- "A terrible beauty." Yeats wrote, "Now and in time to be, Wherever green is worn, Are changed, changed utterly: A terrible beauty is born." Another renowned poem he wrote is called "Lake Isle of Innisfree." "I will arise and go now, and go to Innisfree, And a small cabin build there ..." Yeats beautifully paints a picture with words describing this tranquil place called Innisfree in County Sligo, Ireland. Yet another great poem by W.B. Yeats is "Down By the Sally Gardens." This story of lost love has been turned into a popular Irish song as well. "Down by the Sally Gardens, my love and I did meet ... She bid me take life easy, as the grass grows on the weirs; But I was young and foolish, and now am full of tears." James Joyce was born in Dublin in 1882 and died in 1941. He wrote novels, short stories, and poems. His writing style was considered modernist, and he had a great impact on world literature in the 20th century. One modern device Joyce used, famously, was called the "stream of consciousness" wherein the writer states a multitude of thoughts all at once, simulating the thinking process a person might have in real life with many thoughts occurring simultaneously. He is famous for several works including Dubliners, A Portrait of the Artist as a Young Man, and Finnegan's Wake. 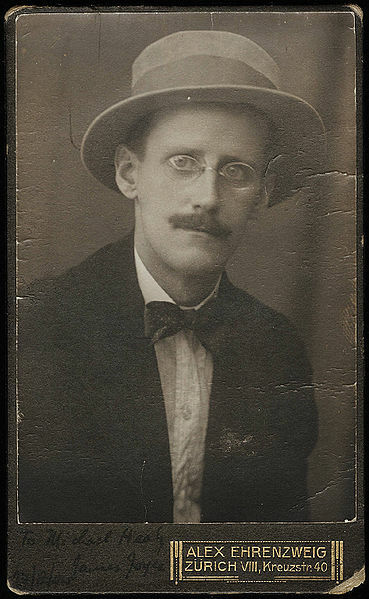 Joyce was taught by the Christian Brothers and the Jesuits; and he studied at University College Dublin. His writings became famous and were extremely progressive in a literary sense. Joyce usually focused on life in Dublin; but he spent much of his life abroad, especially in Paris, France and Zurich, Switzerland. His writings, though brilliant, were often controversial and were denounced by some conservative authorities. His great work called Ulysses, written in the early 1920s, was not published in the USA until the 1930s because a controversy arose resulting in charges of obscenity. The book was banned in some places, and it was first published in its entirety in English by a bookstore on the Left Bank of Paris in 1922, at Shakespeare and Company. The novel focuses on the adventures of a character named Leopold Bloom who ventures around Dublin city on what has come to be called "Bloomsday," June 16, 1904. Today Ulysses is seen as one of the most significant novels in the history of the world. James Joyce is seen as one of the greatest writers of all times. 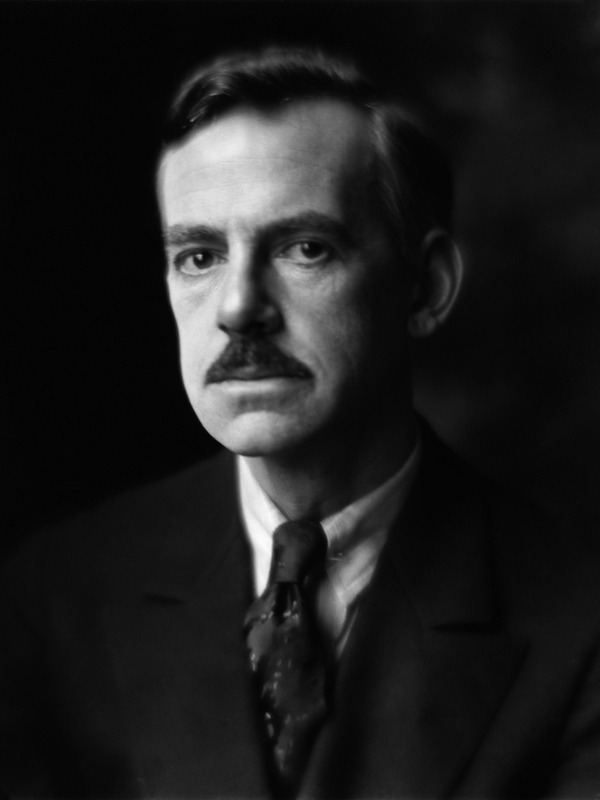 Only one American has ever received the Nobel Prize for Literature as a playwright, and it was the Irish-American writer Eugene O'Neill. Born in New York City, O'Neill was well aware of his Irish heritage and the impact it had on him personally and on his work. He once commented in 1946: "The one thing that explains more than anything about me is the fact that I'm Irish. And, strangely enough, it is something that all the writers who have attempted to explain me and my work have overlooked." Some of Eugene O'Neill's plays are among the most famous in world literature: The Iceman Cometh, A Moon for the Misbegotten, and Mourning Becomes Electra -- to name a few. But his greatest work, which was actually not first performed publicly until after his death, is Long Day's Journey Into Night. In many ways, the play is autobiographical. If you look up the word "wit" in the dictionary, you will probably find the name of Oscar Wilde next to it. Wilde was one of the most clever writers ever with the use of satirical phrases and witty statements (called epigrams), which came to him seemingly with ease. He wrote poems, plays, and even a novel. Born in 1854 in Dublin, Ireland, he died in 1900. His life, filled with wit and even comedy, was eventually one of great literary success, infamous scandal, high drama, and finally tragedy. Some of his best known works are The Picture of Dorian Grey, The Importance of Being Earnest, and The Ballad of Reading Gaol. Oscar Wilde did not plan on being an LGBT rights activist, but his life made him that by default. Wilde was involved in a complex legal action against the Marquess of Queensberry for criminal libel (a form of defamation). 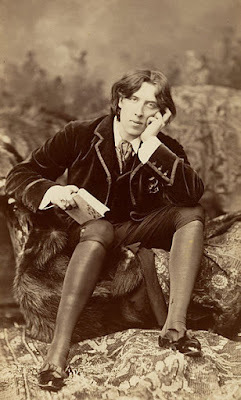 During the legal process, evidence emerged that Wilde allegedly had a consensual gay affair with the son of the Marquess. After much legal maneuvering, Wilde was convicted and sentenced to two years of hard labor. After he did his time in jail, Wilde in effect went into exile to France, where he eventually died impoverished. It was the tragic end to a once brilliant literary carrier. It was also a terrible injustice. No doubt from the hardships he faced in public disgrace and hard labor in jail, Oscar Wilde died in Paris at the young age of only 46. The authors above are just five of the Irish writers who have greatly influenced the world of literature. There are many more. Bram Stoker, who wrote the great horror story Dracula, was Irish. The creator of the Sherlock Holmes stories, Arthur Conan Doyle, was Irish -- though born in Scotland, both of Doyle's parents were Irish Catholic. Even the great American writer and poet Edgar Allen Poe was partly of Irish descent. The list could go on and on. And probably there will be many more famous Irish writers in the future too ... because the Irish have a way with words. Read about the Potato Famine (Great Hunger) and Coffin Ships, 1845 -1850 Click below.. This website, IrishAmericanJournal.com, is dedicated to the memory of my parents, Isabella and John McGrath. (c) 2017 Adrian McGrath. All rights reserved. Simple theme. Powered by Blogger.